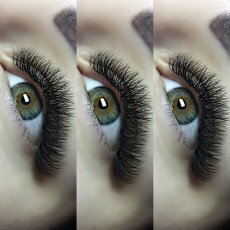 A beautiful set of lashes to suit your eye shape. This treatment may take up to 3 hours depending on the amount of natural lashes you have and the look you would like us to create. Most treatments take around an hour and a half. Perfect for topping up any lashes that have been shed with the natural lash. Recommended every 2-3 weeks. To qualify for an “infill” price you must have at least 50% of your eyelash extensions remaining. Having the lashes professionally removed ensures that your natural lashes are not damaged or removed. Semi Permanent Eyelash Extensions are offered in and around Eastleigh, Chandlers Ford, Winchester and Southampton. This treatment can give amazing results as soon as the lashes are applied. They are attached to the individual natural lashes to give a longer, fuller, darker effect. These lashes will last the lifetime of the lash which could be up to 12 weeks. We use three different thicknesses, four degrees of curl and seven different lengths to achieve a customised finish that’s perfect just for you. To keep your lashes looking at their very best we recommend that you have them “infilled” approximately every 3 weeks to replace any that have been shed with the natural lashes. 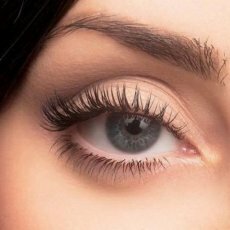 Correctly applied, maintained and cared for Eyelash Extensions can last indefinitely. 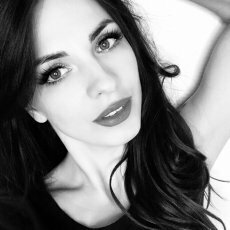 Once you have had the lashes applied we are confident that you wont ever want to be without them, but if you do chose to have them only for a special occasion or holiday then we are able to remove them for you. All of our facials are customised for your individual skin type so rest assured that your facial will be tailor made, just for you. 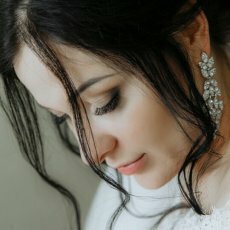 We will pay close attention to each area of your face, discuss any concerns and issues that you may have and work specifically on those areas. For some people they need help to control acne r sensitive skin which feels tight and dry, or you may just need a rejuvenating treatment, a refreshing pick me up or an ultimate relaxation hour, with the benefits that a facial brings along. (This is a truly luxurious treatment, perfect for cleansing, re-hydrating and balancing your skin. After a thoroughly indulgent cleanse, tone and exfoliation, a luxury face mask, chosen specifically for your skin type, will be applied. Whilst this is setting, rather than you being left alone for 30 minutes we choose to use this time pampering you even further with a calming hand and arm massage. A relaxing and luxurious facial massage follows the chosen mask and the treatment is completed with a layer of our most decadent moisturisers, again chosen specifically for your skin type. This is the ultimate in relaxation and pampering, a treatment that ensures you are feeling refreshed in mind as well as body. Face, Décolleté, shoulders, neck and Trapezius muscular areas will be massaged and soothed during this incredibly popular treatment. SO Health and Beauty Eastleigh is Owned and Managed by Award Winning Nail, Massage and Beauty Specialist, Sarah Orman. Based in Boyatt Wood, this popular yet discreet home salon has ample Free Parking on the private driveway. 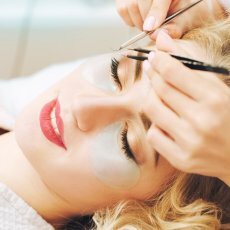 As well as beauty salon treatments being provided in the relaxing atmosphere of the purpose build treatment room Sarah also manages a popular team of mobile beauticians and nail technicians who offer a Professional Mobile Health and Beauty Therapy Service throughout Eastleigh, Winchester, Southampton and surrounding areas. SO Health and Beauty are proud to provide thorough, professional Manicures, Pedicures, Minx Nails, Shellac Polish Nails, Gel ll Manicures and Pedicures, Gelish Mani and Pedi treatment plans, Peron Rigot Waxing including Non strip Hot wax Brazilian and Hollywood Treatments, Strip Warm Wax Appointments for leg waxing and for less sensitive areas, Flirties, Marvel Lash and Lashbase Full Sets of Semi-Permanent Individual Eyelash Extensions, Infills for false lash or party lashes, Full Body Sienna X Spray Tans, Spray Tan Parties, Swedish Massage, Relaxing Aromatherapy Massages, Prescriptive Individualised Facials that are tailored to your specific skin type needs. Sarah Orman holds a VTCT Level 3 Diploma in Beauty Therapy Treatments and Qualified as a Trained Adult Nurse in 2004. 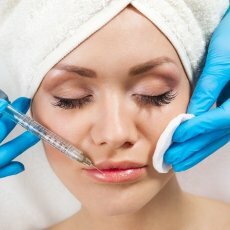 As a Manager and Specialist Beautician who holds full professional indemnity insurance Sarah is keen to ensure that every treatment provided by herself or one of the fantastic SO Health and Beauty Therapists and Technicians are entirely exceptional, professional and ultimately the very best that they can be. 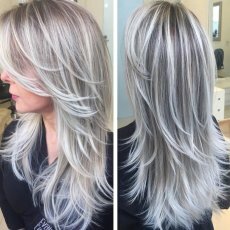 It is vital that the beauty company you choose regularly updates their skills and knowledge, have a variety of experience within the nail and beauty industry and use the very best products and equipment available. This is at the very heart of SOHEALTHANDBEAUTY. SO Health and Beauty offer specialist services for Eyelash Extensions, Sienna X Spray Tanning and Massage / Facial Treatments. Currently using warm spa (strip) wax and Perron Rigot hot (non stip) professional products, all in the comfort of your own home or at our professional yet relaxed boyatt wood beauty salon. SO Health and Beauty have thoroughly tried and tested all major Spray Tan Companies and Brands so that their clients don't have to. Sienna X Spray Tans give a golden glow ranging from light, medium and dark which looks natural, not orange. It will last, look fab and doesn't have the strange smell associated with many tanning brands. Shellac is the first hybrid nail colour. It goes on like nail polish, performs like a gel, and removes in minutes (really). Fantastic colours and French manicures which will not chip, smudge, crack or fade. Some clients require products with more strength to maintain their manicure which is why Gel ll, Brisa Lite and Entity One Colour Coture products have joined the shelves along side CND Shellac products. And if you need something a bit more sparkly then the Magpie and Lecentè Glitters available will be perfect! Minx nail armour extend fashion to your fingers and toes. A huge variety of designs allows nails to stand out from the crowd and can easily be matched to a favourite accessory. See SO Health and Beauty's website, Facebook page or Instagram for the whole design and simply order your favourite before your Beauty or Nail Appointment. If you visit the SO Health and Beauty Instagram Page you will notice that exceptional, award winning nail art and design is also a talent of Sarah Orman and her Teams! Sarah Orman has undertaken advanced teaching and training as well as being assessed to have been awarded a Sienna X Certificate at Higher Level. A variety of clients including many celebrities and regular tanners not only attend the Spray Tanning Salon in Eastleigh but they refer their family and friends too. 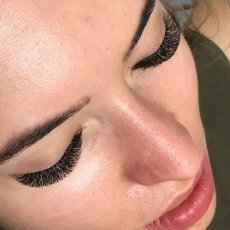 Sarah and two members of her team are Professional Individual Semi Permanent Eyelash Extension Specialists using prestigious brands including Flirties, Marvel Lash and Lashbase to create incredible false eyelashes that look and feel as natural as if they were only a coat of mascara from your make up bag. The business uses a wide range of professional products that are usually found in the salon or spa setting and this ensures the treatment is every bit as luxurious as each client deserves it to be. The products feature the Perron Rigot range, making them suitable for male and female clients, and they are available to suit a range of skin types. Flirties and Sienna X are just some of the popular, trusted brands used by this innovative company. Equipment is modern and well maintained. Sarah is incredibly friendly to all clients, flexible with appointments, and knowledgeable about the products she uses and treatments she offers.